What Are Symptoms of Vertigo? What Procedures and Tests Diagnose Vertigo? What Is the Treatment of Vertigo? What Are Home Remedies for Vertigo? What Is Medical Treatment for Vertigo? Is There a Way to Prevent Vertigo? The definition of vertigo is the feeling of a sense that your environment is spinning. It is a form of dizziness. Seek medical attention for any signs or symptoms associated with vertigo. Treatments for vertigo include self-care home remedies, medications, and physical therapy maneuvers. Vertigo is caused by problems in the brain or inner ear, including sudden head movements, inflammation within the inner ear due to a viral or bacterial inner ear infection, Meniere's disease, tumors, decreased blood flow to the base of the brain, multiple sclerosis, head trauma and neck injury, migraine headaches, or complications from diabetes. Symptoms of vertigo include a sensation of disorientation or motion, which may be accompanied by nausea or vomiting, sweating, or abnormal eye movements. Other symptoms of vertigo may include hearing loss and a ringing sensation in the ears, visual disturbances, weakness, difficulty speaking, a decreased level of consciousness, and difficulty walking. Vertigo is diagnosed by a medical history and physical exam. CT scans, blood tests, magnetic resonance imaging (MRI), and electrocardiogram (ECG) may also be performed depending on the suspected cause. The prognosis for vertigo depends on the cause. Some cases of vertigo are self-limiting and can be cured with drugs and self-care plus physical therapy. Vertigo is the feeling that you or your environment is moving or spinning. It differs from dizziness in that vertigo describes an illusion of movement. When you feel as if you yourself are moving, it's called subjective vertigo, and the perception that your surroundings are moving is called objective vertigo. Unlike nonspecific lightheadedness or dizziness, vertigo has relatively few causes. Vertigo can be caused by problems in the brain or central nervous system (central vertigo) or the inner ear (peripheral vertigo). Vertigo is a symptom of other conditions and is not in itself contagious. Benign paroxysmal positional vertigo (BPPV) is the most common form of vertigo and is characterized by the brief sensation of motion lasting 15 seconds to a few minutes. This may be described as a sudden attack of vertigo. It may be initiated by sudden head movements or moving the head in a certain direction, such as rolling over in bed. This type of vertigo is rarely serious and can be treated. Vertigo may also be caused by inflammation within the inner ear (labyrinthitis or vestibular neuritis), which is characterized by the sudden onset of vertigo and may be associated with hearing loss. 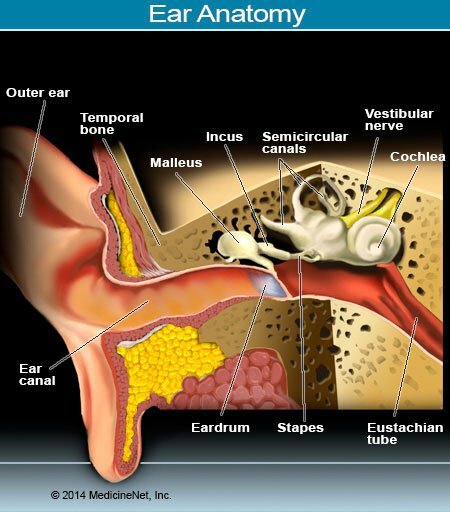 The most common cause of labyrinthitis is a viral or bacterial inner ear infection. The duration of symptoms can last for days until the inflammation subsides. Viruses that may cause labyrinthitis or vestibular neuritis include herpes viruses, influenza, measles, rubella, mumps, polio, hepatitis, and Epstein-Barr virus (EBV). Meniere's disease is composed of a triad of symptoms including episodes of vertigo, ringing in the ears (tinnitus), and hearing loss. People with this condition have the abrupt onset of severe vertigo and fluctuating hearing loss as well as periods in which they are symptom-free. The cause of Meniere's disease is not fully understood but is thought to be due to viral infections of the inner ear, head injury, a hereditary factors, or allergies. Acoustic neuroma is an uncommon cause of vertigo related to a type of tumor of the nerve tissue of the inner ear that can cause vertigo. Symptoms may include vertigo with one-sided ringing in the ear and hearing loss. Vertigo can be caused by decreased blood flow to the base of the brain. A blood clot or blockage in a blood vessel in the back of the brain can cause a stroke (cerebral vascular accident or CVA). Another type of stroke consisting of bleeding into the back of the brain (cerebellar hemorrhage) is characterized by vertigo, headache, difficulty walking, and inability to look toward the side of the bleed. The result is that the person's eyes gaze away from the side with the problem. Walking is also extremely impaired. Head trauma and neck injury may also result in vertigo, which usually goes away on its own. Cervical vertigo can be caused by neck problems such as impingement of blood vessels or nerves from neck injuries. Migraine, a severe form of headache, may also cause vertigo. The vertigo is usually followed by a headache, although not always. There is often a prior history of similar episodes but no lasting problems. Complications from diabetes can cause arteriosclerosis (hardening of the arteries) which can lead to lowered blood flow to the brain, causing vertigo symptoms. Changes in hormones during pregnancy along with low blood sugar levels can cause pregnant women to feel dizziness or vertigo, especially during the first trimester. In the second trimester, dizziness or vertigo may be due to pressure on blood vessels from the expanding uterus. Later in pregnancy dizziness and vertigo may be caused by lying on the back, which allows the weight of the baby to press on a large vein (vena cava) that carries blood to the heart. Mal de Debarquement, which means "sickness of disembarkation," is the medical term for the dizziness and vertigo felt after travel by ship or boat. This is commonly felt after a cruise. In some cases people experience this sensation after getting out of a plane, car, or train. Picture of the ear and internal ear structures. Vertigo implies there is a sensation of motion either of the person or the environment, often perceived as if the room is spinning around you. This should not be confused with symptoms of lightheadedness or fainting. Vertigo differs from motion sickness in that motion sickness is a feeling of being off-balance and lacking equilibrium, caused by repeated motions such as riding in a car or boat. The duration of symptoms can be from minutes to hours, and symptoms can be constant (chronic) or episodic. The onset may be due to a movement or change in position. It is important to tell the doctor about any recent head trauma or whiplash injury as well as any new medications the affected individual is taking. The person might have visual disturbances, weakness, difficulty speaking, a decreased level of consciousness, and difficulty walking. Any signs and symptoms of vertigo should be evaluated by a doctor. The majority of cases of vertigo are harmless. Although vertigo can be debilitating, most causes are easily treated with prescription medication. Have a doctor check any new signs and symptoms of vertigo to rule out rare, potentially serious, or life-threatening causes. The source of vertigo may be not the ears or balance system (vestibular system) and it is very important to rule out other life-threatening causes first. The evaluation of vertigo consists primarily of a medical history and physical exam. The history is comprised of four basic areas. The doctor may want to know if the patient feels any sensation of motion, which may indicate that true vertigo exists. Report any nausea, vomiting, sweating, and abnormal eye movements. The doctor may ask how long the patient has symptoms and whether they are constant or come and go. Do the symptoms occur when moving or changing positions? Is the patient currently taking any new medications? Has there been any recent head trauma or whiplash injury? Are there any other hearing symptoms? Specifically, report any ringing in the ears or hearing loss. Does the patient have other neurological symptoms such as weakness, visual disturbances, altered level of consciousness, difficulty walking, abnormal eye movements, or difficulty speaking? The doctor may perform tests such as a CT scan or magnetic resonance imaging (MRI) if a brain injury is suspected to be the cause of vertigo. Blood tests to check blood sugar levels and the use of an electrocardiogram (ECG) to look at heart rhythm may also be helpful. There are a variety of treatments for vertigo including self-care remedies, medications, and physical therapy maneuvers. Home therapy should only be undertaken if you have already been diagnosed with vertigo and are under the supervision of a doctor. If your doctor approves, there are some natural home remedies that may help relieve the symptoms of your vertigo. Scientific evidence supporting some remedies is often lacking. A modified Epley maneuver is a type of physical therapy often prescribed that involves head and body movements done while sitting on a bed. Traditionally, it is performed in a doctor or physical therapist's office, but it may also be prescribed to do at home. Once a patient has received proper instruction, this maneuver can get rid of vertigo symptoms within a week for many patients. Vitamin D supplementation may be beneficial for patients diagnosed with benign paroxysmal positional vertigo. Your doctor can check to see if you have a vitamin D deficiency. Herbal remedies such as ginger root, ginkgo biloba, and coriander may help reduce vertigo symptoms in some people. Consult your doctor before taking any natural remedies. Acupuncture may provide relief for symptoms of some types of vertigo. Avoid substances that can affect circulation, including caffeine, tobacco, or alcohol. There have been some claims that essential oils, including peppermint, ginger, lavender, and frankincense, may help relieve symptoms of vertigo. Read all instructions for use and consult your doctor before trying these natural remedies, as some can have side effects, especially if you have respiratory illness. Vertigo can be treated with medicine taken by mouth, through medicine placed on the skin (a patch), a suppository, or drugs given through an IV. Bacterial infection of the middle ear requires antibiotics. For Meniere's disease, in addition to symptomatic treatment, people might be placed on a low salt diet and may require medication to increase urine output. A hole in the inner ear causing recurrent infection may require referral to an ear, nose, and throat (ENT) specialist for surgery. In addition to the drugs used for benign paroxysmal positional vertigo, several physical maneuvers can be used to treat the condition. Vestibular rehabilitation exercises, also referred to as Epley maneuvers as mentioned before, consist of having the patient sit on the edge of a table and lie down to one side until the vertigo resolves followed by sitting up and lying down on the other side, again until the vertigo ceases. This is repeated until the vertigo no longer occurs. Particle repositioning maneuver is a treatment based on the idea that the condition is caused by displacement of tiny stones in the balance center (vestibular system) of the inner ear. The head is repositioned to move the stones to their normal position. This maneuver is repeated until the abnormal eye movements are no longer visible. These medications should be taken only as directed and under the supervision of a doctor. Many of these medications can cause drowsiness and should not be taken before driving or working. The length of symptoms of vertigo depends on the cause. For vertigo caused by Mal de Debarquement, such as getting off a cruise ship, the vertigo will usually go away on its own within 24 hours. For patients with benign paroxysmal positional vertigo, the Epley maneuver can usually stop symptoms within a week. Vertigo caused by inflammation of the inner ear (labyrinthitis or vestibular neuritis) will last for days until the inflammation subsides. Attacks of vertigo due to Meniere's disease can last from 20 minutes to 24 hours. Vertigo is not usually common with acoustic neuroma (tumor), although it is more commonly associated with smaller tumors in the early stages. As the tumor grows, vertigo lessens or disappears. Vertigo from a stroke, either due to blood vessel blockage or hemorrhage, may leave permanent damage to the brain and cause permanent vertigo symptoms. If vertigo is due to head or neck injury (concussion, whiplash, or other trauma), symptoms may last for years or be permanent. Anyone with a new diagnosis of vertigo should follow up with his or her doctor or be referred directly to a neurologist or an otolaryngologist (an ear, nose, and throat, or ENT, specialist). Individuals with Meniere's disease should limit salt in their diet. The prognosis depends on the source of the vertigo. Vertigo caused by problems in the inner ear, while usually self-limited, in some cases can become completely incapacitating. The use of drugs and rehabilitation exercises is the mainstay of treatment. Most commonly, this will cure the symptoms or make the condition tolerable. The prognosis of vertigo from a brain lesion (tumor or stroke) depends on the amount of damage done to the central nervous system. Vertigo caused by a brain lesion may need emergency evaluation by a neurologist and/or neurosurgeon and may lead to permanent disability. Lie down with the head elevated slightly. Take precautions to prevent falls. In the midst of a vertigo attack, do not drive, work at heights, or operate dangerous machinery since loss of balance may cause significant injury. What symptoms were associated with your vertigo? What were the causes of the vertigo you experienced? Have you ever tried any exercises to resolve your case of vertigo? Did they help?